There are bike paths, and then there is the Hiawatha Trail in North Idaho. I’m not a huge biker, but I’ve been around the block enough to know the Hiawatha Trail is one of the most unique rides you will find. That’s because the Hiawatha Trail takes you over seven train trestles and through ten abandoned rail tunnels in the Bitterroot Mountains. Located about five-and-a-half hours from Seattle, the Hiawatha Trail is an old train route that begins in Idaho and ends in Montana. You can drive to the Hiawatha Trail and back in one day, but you’d be absolutely crazy. The Hiawatha Trail would be best enjoyed on a weekend trip to Spokane, Coeur d’Alene or Missoula. Every rider is required to have a helmet and light on the 15-mile, gravel Hiawatha Trail. Why do you need the light? Because these tunnels are no joke. 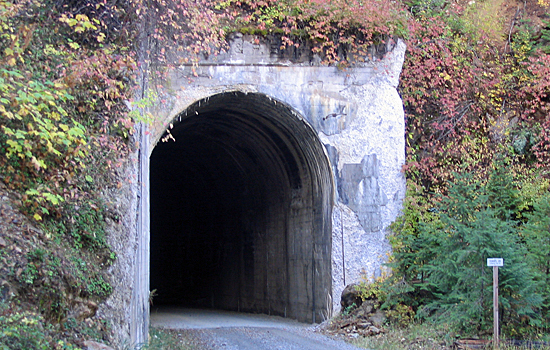 The longest is Taft Tunnel, which stretches 8,771 feet (1.66 miles) through the mountains. When you enter the Taft Tunnel you can’t even see the light on the other side. That means it’s pitch black, so your bike light is the only way you can see anything. The trestles are cool, too. Some of them stand as high as 200-feet over the incredible terrain below. Again, the Hiawatha Trail takes you through the mountains, so you’re surrounded by forests, rivers, and waterfalls. It’s called one of the most scenic rail-to-trail routes in the country. There’s wildlife as well. When my mom and I were on the Hiawatha Trail, we could hear elk calling through the woods. Deer and moose are also often spotted near the trail. You’d think a mountain trail would be a pain to ride, but the entire Hiawatha Trail goes downhill. It’s not an extreme down hill ride though, it’s a gentle two-percent grade (or less) the entire trip. You have the option to ride the Hiawatha Trail back up once you reach the end, but most people opt for the shuttle (at a cost) to take them back to the trail head. If you don’t feel like biking the round-trip, you should keep in mind the shuttle schedule changes throughout the year. Since the Hiawatha Trail takes you through the Bitterroot Mountains, it’s only open from late May through the end of September. On average, the ride usually takes about three hours, but you can spend as much time as you want. The Hiawatha Trail is open daily from 8:30am-5pm. Unfortunately, the Hiawatha Trail comes at a cost. You have to buy trail passes at the Lookout Pass Ski Area (I-90, Exit 0 on the Idaho/Montana border), from trail marshals along the way, or online. The trail fee for adults is $10, while children 6-13 ride for $6. The shuttle costs $9 per adult and $6 per child. The fees pay for trail marshals and maintenance. You can also rent bikes, helmets and lights at the ski area. During the peak season (late June-early September), they recommend you make rental reservations to ensure you’ll get what you need. Taking a ride on the Hiawatha Trail is a unique experience. If you want to avoid the massive crowds, I suggest going outside the peak season. My mom and I went on a beautiful weekday in late September. There was hardly anyone on the trail, so you could really soak in the surroundings. Even if the trail is busy, it’s hard to beat the incredible atmosphere of the Hiawatha Trail. Give it a try sometime. You won’t regret it. Have you ever taken a ride on the Hiawatha Trail? How was your experience? Please leave a comment below or connect with us on Twitter, Facebook and Google+. You can also catch us on Pinterest and YouTube. 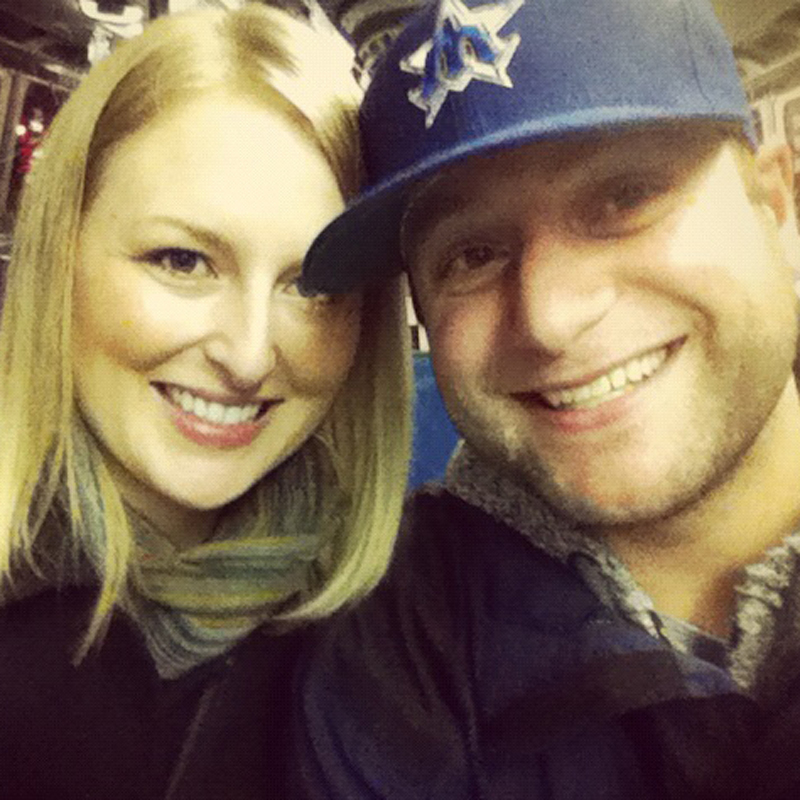 Don’t forget to also check out Seattle Bloggers for more fun Seattle getaways! You are correct when you say the Taft Tunnel is no joke. The entire trail is a blast to ride and can’t hardly beat the waterfall that is right next to Taft Tunnel as you come out. Depending on how much water is running and the amount of noise that others are making, you can actually hear the water even before you come out. Plus the water occasionally dripping on you makes for a wonderful surprise.